Following the victory at Athletic Bilbao, the vast majority of the FC Barcelona first team have left for international duty. 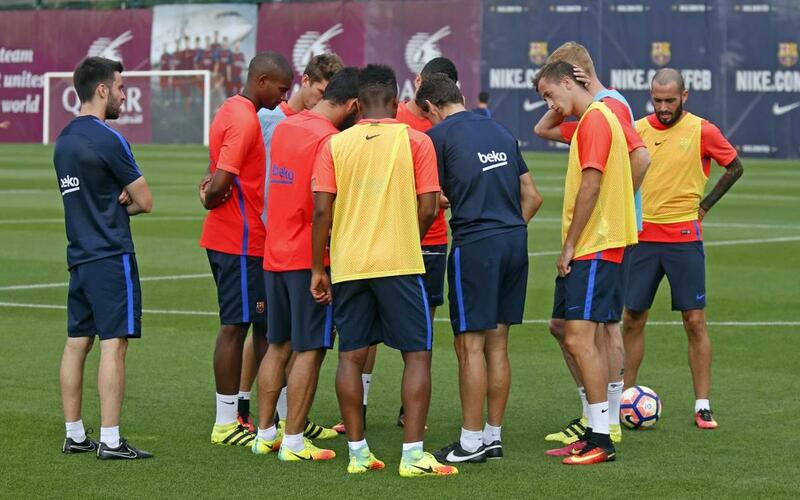 But for those that remain and following a welcome rest on Monday it was back to work as usual on Tuesday morning as Luis Enrique gathered his diminished squad for training on the Tito Vilanova field at the Ciutat Esportiva Joan Gamper. With no fewer than sixteen players called up by their national managers, only Masip, Aleix Vidal, Rafinha, Arda, Iniesta and Mathieu are still in Barcelona. So the numbers were boosted for the session by the inclusion of Jose Suárez, Marlon, Cámara, Mujica, Marc Cardona and Kaptoum of FC Barcelona B. There is no Liga fixture this week, and won’t be until the game with Alavés on September 10 at 8.30pm CET, but training will not stop – with another workout scheduled for the same time and place on Wednesday morning.